Let op: Dit is de Engelse versie van deel 1! 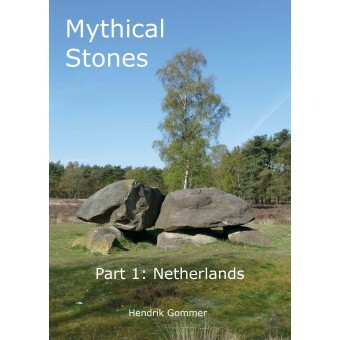 Mythical Stones is an expedition guide leading travelers, especially those with a motor home, along the megaliths of Europe. The journey brings the traveler to many beautiful spots and many other attractions. Mythical Stones offers a different perspective on the countries of Europe, through the eyes of our prehistoric ancestors. In Part 1, the author begins his journey modest. He starts in the Dutch province of Drenthe, where there are more than fifty dolmens, all of which are well described. Here he discovers that behind the large stones many stories are hidden. The journey along these megaliths of the Netherlands leads him down unexpected paths. Notice that the price is excluding delivery costs to other countries than the Netherlands!